Security & Policing provides the opportunity to view the latest developments in the UK security market with over 300 companies exhibiting under the one roof. The exhibition provides a discreet environment for you to test and evaluate products and services and determine their impact on your organisation. 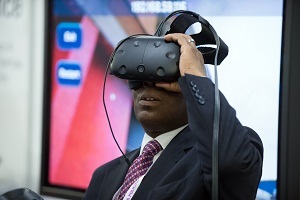 The unique three day environment also incorporates live demonstrations, immersive experiences and keynote briefings. All visitors are subject to Home Office approval. New categories have been added for 2019.